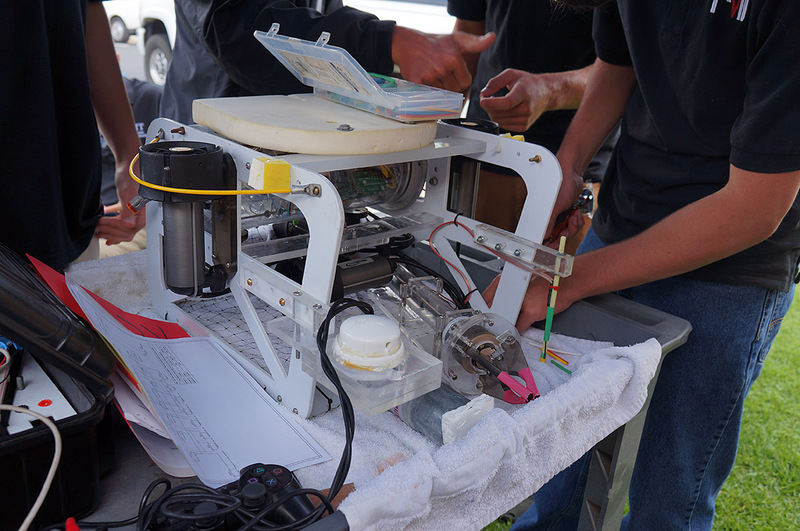 Congratulations to the PVIT Underwater ROV (Remotely Operated Vehicle) Team for taking First Place in the Regional MATE (Marine Technology Advanced Education) Competition! The team has been working every week since September to prepare for this competition which simulates the exploration of ship wrecks in the Great Lakes. 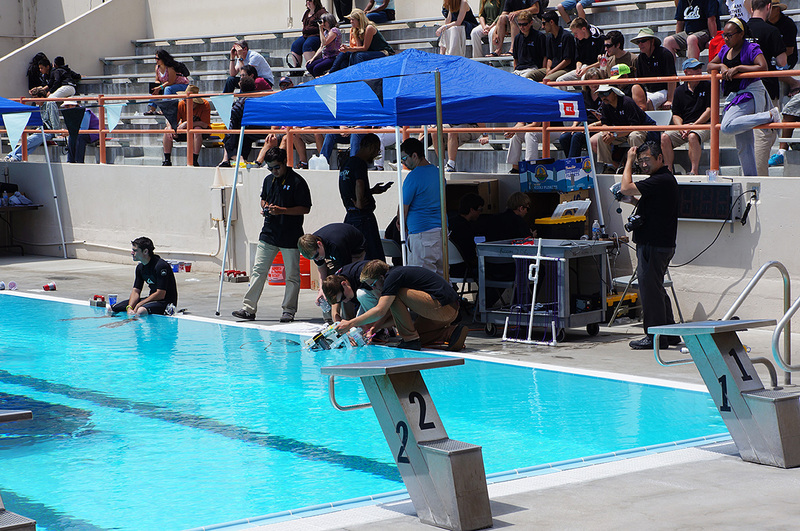 After the team’s excellent technical presentation and interview on Saturday morning, they had two attempts to complete their timed “mission”, which involved manipulating their robot, guided only by an underwater camera and PS2 controller at the surface, and completing tasks such as determining the ship’s dimensions, measuring conductivity of a sample, and retrieving objects from the wreck. 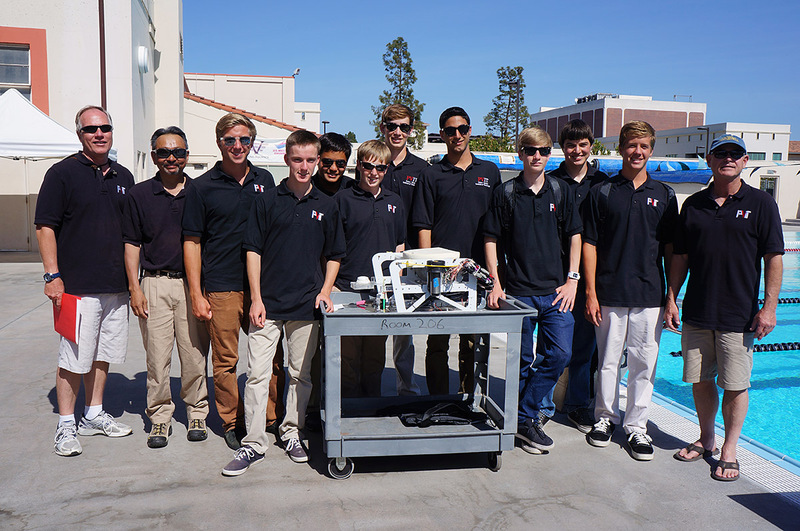 After a rough first mission in which their robotic arm broke, the team had only two hours to regroup, solve their technical issues, and optimize their tasks based on what their ROV was able to complete with a partially functional robotic claw. The second mission’s success put them 60-80 points ahead into first place. 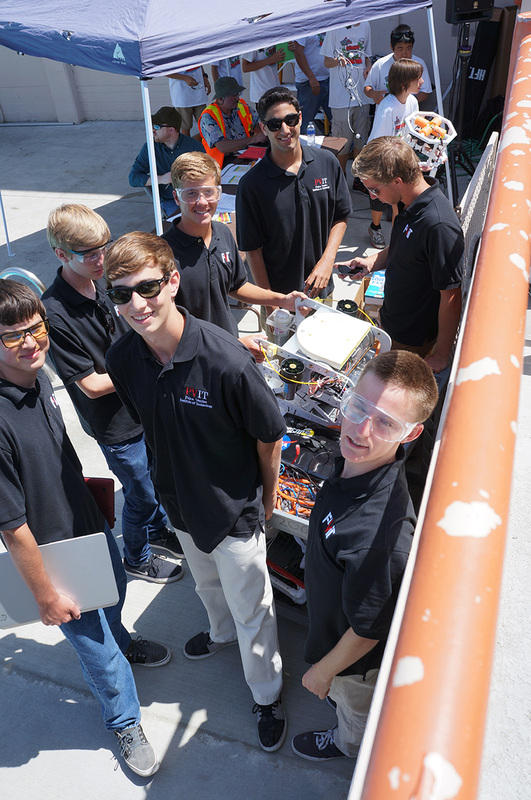 The team will continue to work hard for the next 6 weeks until they go to the international competition at Thunder Bay National Marine Sanctuary in Alpena, MI at the end of June. Congratulations to Kraig Kreiner, Dennis Smalling, Chandler Jones, Mark Caropino, Nick Vlaco, John Robertshaw, Lucas Allen, Shane Sharp, Aaron Trell, Joshua Magid, Shaun Sidhu, Grant Vanderdonck, and Nora Potenti! Special thanks to parent mentors Kurt Kreiner, Randy Jones, and John Kuwata.